D K Cleaning strives to give you excellent carpet and upholstery cleaning results and offers a professional approach to cleaning technology. 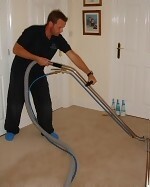 We are fully trained by Prochem and have completed and passed all of their certificates in this area of cleaning. Our methods kill bacteria and odours producing a deep down clean that lasts.